Never change a winning team – it has now been 20 years since ACT head Siggi Loch met Nils Landgren at the "Jazz Baltica Festival" and instantly signed him to his label ACT. 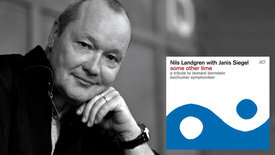 Today, 20 years later Nils Landgren has become the most successful ACT artists. Nils Landgren and ACT now celebrate their fruitful 20 year long collaboration with an exclusive Jubilee concert on October 11th in Hamburg and the 2 CD set "Redhorn Collection" to be released on October 10th. There is a synonym for the words versatility, curiosity and vigour: Nils Landgren. 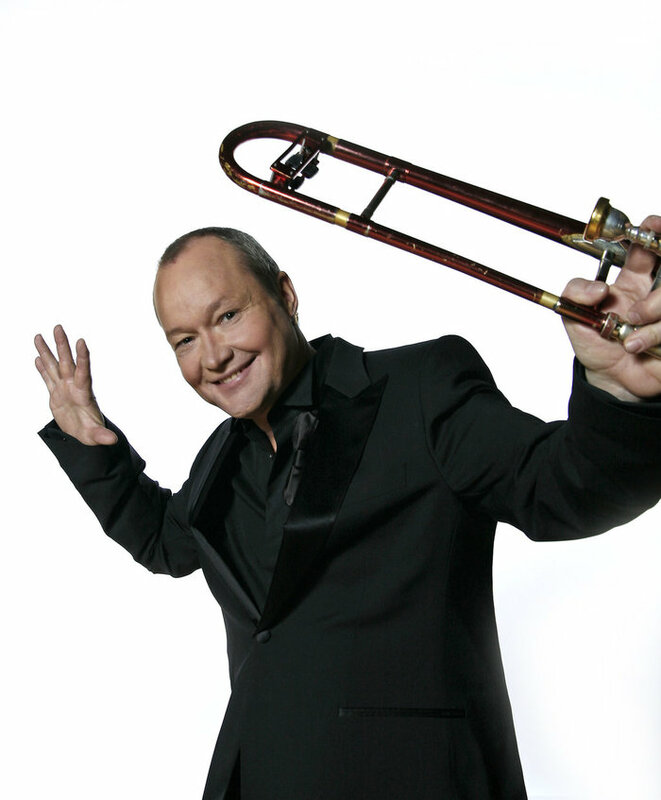 Whether with his Funk Unit, his jazz ballad projects, with big bands or with ever changing other constellations – the likable Swede with the bright red trombone has constantly been on the move for more than 30 years now. He is one of the most successful European jazz musicians: the Värmland native born in 1956 has made around 550 records and received innumerable jazz awards and other honours, including the Swedish Grammy for his life's work. And at his side for the last two decades: ACT Music. The first time Siggi Loch heard Landgren play, at the JazzBaltica in 1994, with the band that at the time was still simply called "Unit", it was to be the beginning of a loyal partnership for life. "Call it what it is" Loch said to him succinctly after the rousing concert. Funk Unit was born and a beautiful collaboration along with it. Landgren embodies the ACT philosophy like no other: a musician and entertainer who touches and enraptures people with his artistic independence. Nils Landgren was one of the first exclusive artists of the Munich label launched in 1992. "Live in Stockholm" by his Funk Unit with Maceo Parker as special guest, recorded in summer 1994, was the foundation stone of the cooperation. In the time that followed, Landgren became a star with the unwavering support of ACT behind him, and reciprocally his outstanding abilities consolidated ACT's reputation as one of the world's most highly renowned independent jazz labels. "Siggi Loch gave me the power to surpass myself, and that is bearing a lot of fruits now," Landgren summarises their joint success story. But he isn't only active for ACT as a musician, he is also a producer and scout. Through Funk Unit, Loch's attention was called to Esbjörn Svensson, and the singers Viktoria Tolstoy, Rigmor Gustafsson and Ida Sand also came to ACT from Landgren's sphere of activity. Today, ACT is the biggest exporter of jazz from Sweden; thanks in no small degree to Landgren. 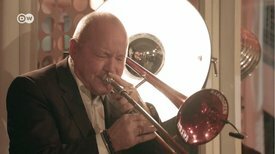 Mr. Redhorn is one of the most active live artists in contemporary jazz, in part also thanks to his concert management partner Karsten Jahnke Konzertdirektion. He averages 200 days a year on the road around the music world, and he is one of a small number of jazz artists who reach an audience that by far transcends the "scene", without making personal or artistic compromises. For two hearts beat in Landgren's breast: when the audience experiences him with his Funk Unit, he shows himself from his action-hero, striking, relentlessly grooving side; but there is also a gentle, melancholy, highly sentimental Nils Landgren, who comes out in his ballad projects, when he touches the soul with his so typically fragile voice and incomparably lithe trombone, or at Christmas, when Landgren sets the yuletide mood with his Christmas With My Friends ensemble. And as if all that were not enough, the philanthropist Landgren even finds time for a good cause: with his project "Funk for Life", he joins forces with Doctors without Borders to help young Africans gain a musical education. * Nils + ACT 20 - Jubilee Concert on October 11, 2014, Laeizhalle Hamburg, Tickets under www.kj.de. Part I: Nils Landgren & The Baltic Gang "Remembering Esbjörn Svensson"
Nils Landgren Funk Unit "You Got It"